New Dawn Garden Life – Garden Design and Landscaping in Chiswick West London. Garden Design and Landscaping in Chiswick West London. Including Paving, Decking, Turfing, Sandstone cobble sets. Richard from Chiswick in West London had a good idea of what he wanted for his garden. He called New Dawn Garden Life for some Design advice and Landscaping. Carl from New Dawn Suggested laying the sandstone patio at the same height as the breakfast room floor. This would give the sensation of the house flowing into the garden. This was achieved by using a drainage system which protects the house from damp when a patio is laid higher than the damp course. The hard wood deck was raised adding a visual extra dimension. To accentuate the small flower garden sandstone cobble sets were used as an edging. 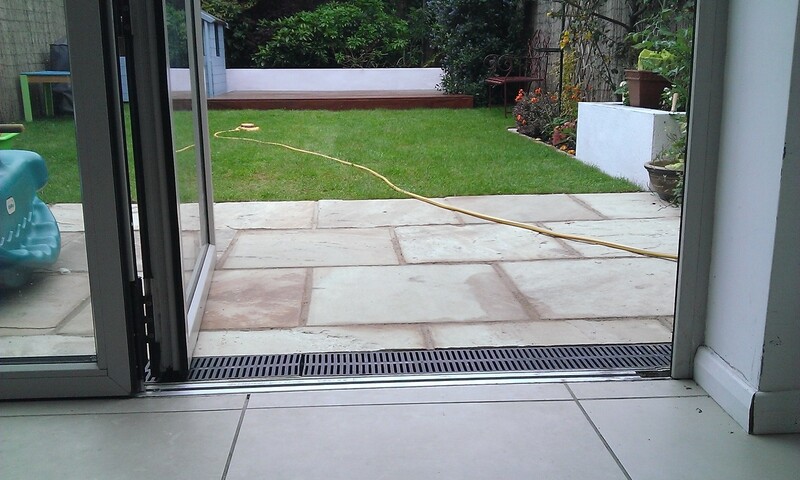 The new lawn was laid to the level of the patio creating an easy way to maintain the garden. The lawn mower could be pushed over patio and not catch the blades on the stone. 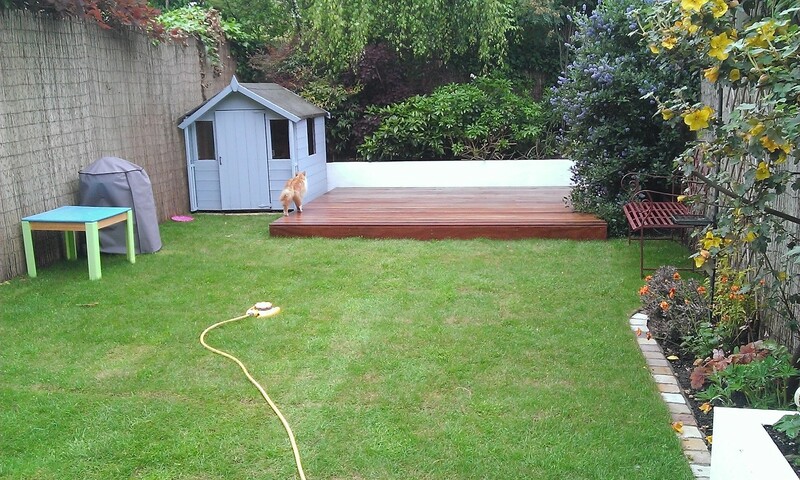 See below the Picture of Newly Landscaped garden in Chiswick West London.